Shanghai had been the centre for Chinese Popular Music – known as Mandopop or Shidaiqu - since the 1920s, with Li Jinhui’s pioneer work. Shanghai continued to be the centre until the Communist Party took power in 1949. With popular music now out of favour in Mainland China, singers and musicians left China for Hong Kong, Malaysia, Taiwan, and other places. In Taiwan, Chun Chun recorded "The Peach Blossom Weeps Blood" in 1931 on Columbia Records. It was the theme song of a Shanghai movie of the same name, and is generally thought to be the first Mandarin Chinese-language pop song. Its success led Columbia to produce over 3000 more pop records during Taiwan’s Japanese occupation. Soon, several other Taiwanese record companies began producing both Mandarin and Taiwanese - language (Taiyu ge)records. This was the first golden age of Taiwan’s popular music. 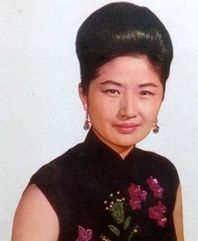 Chunchun was Taiwan’s iconic singer during these 1930s, and was much-loved for her sentimental style. She was born in 1914 as Liu Qing-Xiang, and achieved great success in theatre. She originally joined Columbia to record Taiwanese opera songs, but soon was recording folk songs and pop songs with equal skill. In January 1941, Li Xiang-Lan came to Taiwan to perform, following the great success of her films shown in Taiwan. Her five public performances at the “Great World Hall” in Taipei were packed. After World War 2, the music industry in Taiwan was at a low point, reflecting the country’s economic situation. Consequently, the few records produced were of much lower quality than those of the 1930s. Live performances were the major source of music for most people. The biggest star of the 1950s was Wen Xia 文夏 who even had colour photos on his record sleeves! He became known as king of Formosan song. 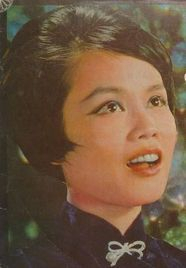 Hung Yi-Feng became the first song writing superstar in the 1960s. His rich bass voice earned him the name “King of Bass,”. 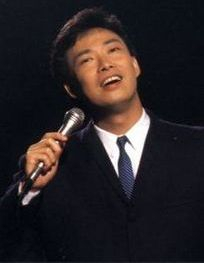 He was followed in the late 60s by the singer who would become the most loved star of all – not only in Taiwan, but throughtout the Chinese-Speaking World. 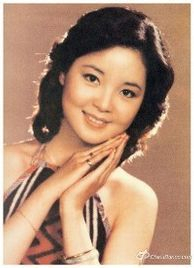 Teresa Teng. More of Teresa later and on her own page. 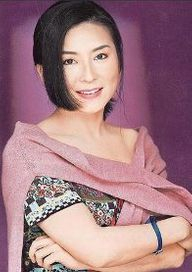 The 1970s saw Taiwanese singers dominating the Asian markets for Mandarin Chinese popular music, following Teresa’s universal success. 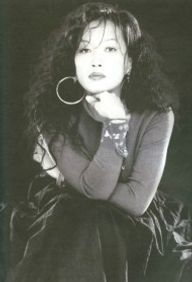 Singers such as Yeh Qi-Tan and Fong Fei Fei emerged, and were superstars in their own rights. Others included Yu Ya 尤雅, Judy Ongg 翁倩玉, and Ouyang Feifei. 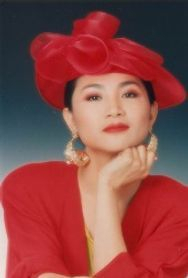 Together with Teresa and Agnes Chan, they were considered the "Five Great Asian Divas" during the 1970s and 1980 … and four were from Taiwan. In 1977, Sony Music introduced the Golden Melody Awards, aimed at recruiting singers and composers from university students in order to boost sales in the youth market. This took the form of "Campus Songs" - folk songs that were written and performed by university students during the period between 1977 and 1981. I have a separate section on this – see to the left where the individual singers and their pages are. 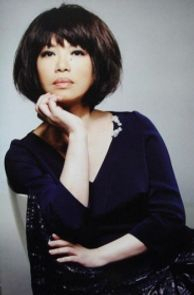 Tsai Chin and Chyi Yu emerged from Campus Folk, and together with singers such as Sarah Chen, made very individual marks on Chinese Music during the 1980s and 90s. They each have their own pages on the left, as does Campus Folk itself. My own knowledge – so far – of Mandpop ends as the 1990s begin. So I leave my brief history here.